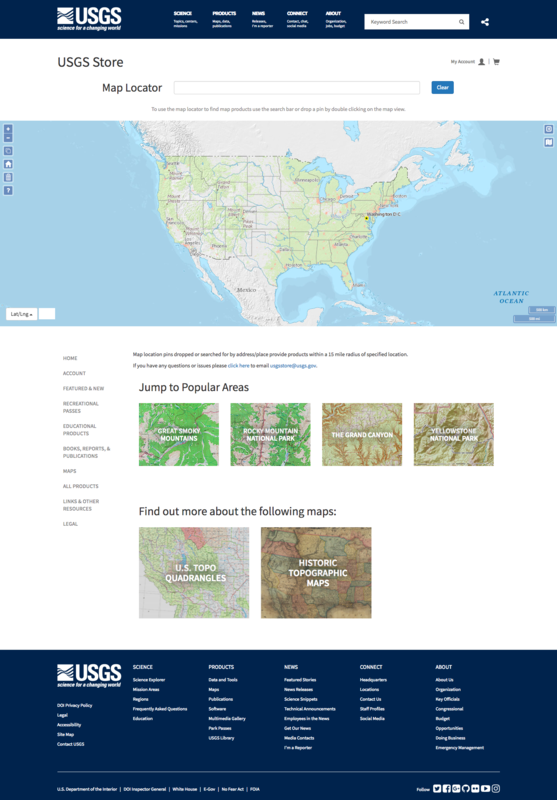 An additional feature that we developer for the new USGS.gov Store rebuild was a map locator tool. 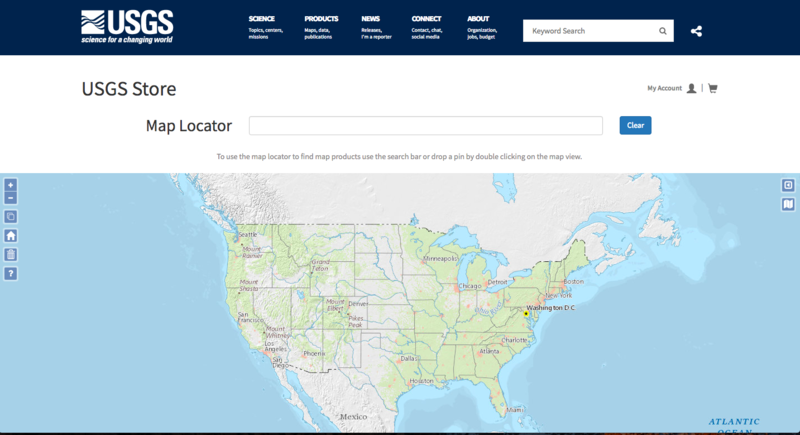 This useful tool incorporates an export of their products via ElasticSearch into a product map. Dropping a pin on the map will yield a display of products based in that geographic area with a radius of 15 miles. 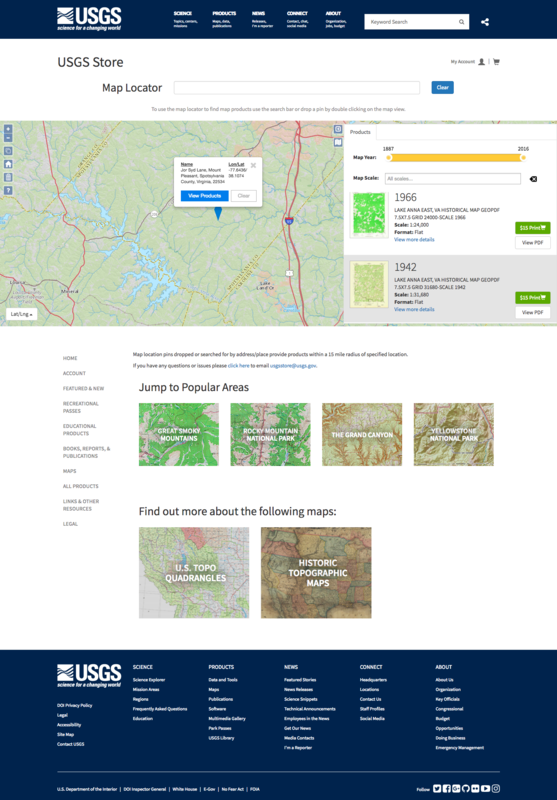 The map API was supplied by ESRI and uses OpenLayers to help with point plotting and layer switching. Need a website or development work? I'd love to hear from you. Drop me a line below! 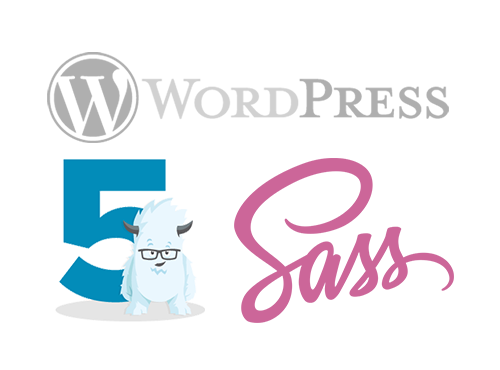 This website was lovingly & carefully developed using Sass, Foundation 5, and Wordpress. If I've helped you out with a website, or you've used my code, show some love. Buy me a coffee, a beer, a movie, or just help me pay my mortgage. © 2019 JasonGlisson.com. All rights reserved. Blog post and code snippets may be used at leisure.